Simpsons signal (without the "D'oh" response). This was a very special show for me. Besides a very well played show with excellent song selection, this show happened to occur on my 25th birthday. Although I live in California, I organized my schedule so that I could go out there for the event. Before the second set, Trey held up a trophy and said that that the group had waited 8 years to award this trophy and that he was presenting this trophy for the longest distance traveled for any singular PHISH gig (Amy's Farm 8.3.91 Palo Alto, CA -> Auburn, ME) and preceded to call "Henry from California" onstage and wished me a happy birthday! Needless to say, it was a complete surprise and and a very special moment in my life. The second set raged as you might be able to tell from the setlist. Before leaving home, I tried to think of what songs that I would want to hear on my birthday if I had the choice. It came down to two tunes, which for me encapsulate several aspects of PHISH's style of music, energy levels and humor: Run Like An Antelope and Mike's Song -> I Am Hydrogen -> Weekaparg Groove. To my great delight, they played both that night. After "I Am Hydrogen," Trey went to the back of the stage, changed his guitar over to the wireless setup, changed from sneakers to Rollerblades, came back to the front of the stage and started into "Weekaparg Groove." When it came time for the solo, he jumped off the front of the stage and proceeded to rollerblade through the crowd while playing an extended solo. It was one of the most wild things that I have ever seen a performer do while playing. Before the encore, he apologized for bowling over a woman near the back of the Rink. Definitely a moment in PHISH history! "Expanding exponentially like some recursive virus"
The first exphosure was the demo tape with Reba and Antelope in 1989, but my first show was Nietzsche's. I remember the demo was enough to hook me, but that initial firsthand experience really gelled things. By this point, I was begging to be involved with the next Buffalo show and my buddy was friends with the promoter, so we were the four security guards that night. Official uniforms were generic purple tie-dyes from the Other Dyes. I suppose the idea was to blend in and manage the crowd from the inside. Good thing we were so educated in the scene already. Our first order of duty was to supervise the Duck, Duck, Goose game in the middle of the floor before the show. Yeah, it was the Oregon crew and some of the Burlington folks too. Decorum was maintained, while silliness ensued. The crowd soon piled in, but it didn't even nearly fill the entire expanse of the rink, which became an important factor in the evening. Openrink+skates+Phish+lightshow=Pretty cool. The band was electric hot and jumping around like loose live wires from the get go. 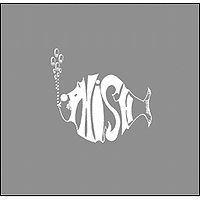 While there are more polished shows from this era, the Rink show exemplifies the raw fire of Phish. The first set rocked throughout, finishing with a classic acapella Memories. Second set was totally energized and free floating fun. The Antelope and Lizards are highlights, but everything shines. People quickly began borrowing skates from the rental racks. We discussed our options ... try to stop a bunch of loonies from liberating the skates or stick to our strengths. We chose wisely. I think. The scene at the back of the Rink was totally surreal, people rolling in circles, flashing out of the dark, narrowly avoiding each other, the hiss of something near the back door. Hey, the back door is open. What's going on? It's cool. No worries man. Everybody has tickets. We're just getting some air. From these ballons. Okay. Please keep the door closed whenever possible. Thank you for your cooperation kind citizen. Trey's solo through the crowd in Groove was pretty intense and it's hard to tell from the recording when he bumped into a person. He's clearly a good skater. 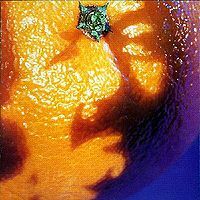 The BBFCFM maintained the trifecta of BBFCFM Buffalo encores, 4/28/1991, 9/28/1991 and the Riviera Theatre show in 1992. One wonders at the message. I had heard quite a bit about Phish before my first show at The Rink in Buffalo, NY. As a relatively active participant of rec.music.gdead, I had seen their name and read various comments about their performances. In fact, my first Phish show should have been at Nietzsche's on 4/19/91 (my twenty-first birthday! 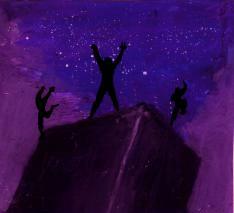 ), but I foolishly opted for the local Dead cover band that night. Perhaps due to the great summer tour with the Giant Country Horns, events like Arrowhead Ranch and Amy's Farm, and the increasing popularity of Picture of Nectar, Phish had become much better known in the Northeast between the spring and fall of 1991. Whatever the reason, nobody I know went to the Nietzsche's show -  everybody was heading to the Rink that night. The Rink is (was?) an actual roller-skating rink located near the corner of Main and Amherst in uptown Buffalo. The show had been heavily promoted. 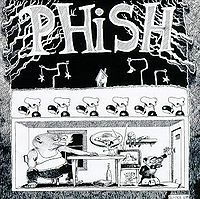 Phish posters hung everywhere on campus and the place was packed. I estimate that the crowd was about four to five hundred people. The parking lot "scene" consisted of four or five VW buses parked side by side. I did meet a group of tour-heads who had been on the road with the band for a few shows. Interestingly enough, they said they were from Oregon. 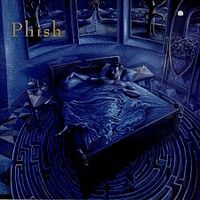 Musically, the song that stood out the most to me was "Foam", which to this day I believe may be the best single-song representation of the Phish sound. While my memory of the show itself is pretty hazy, there were several interesting things that occurred. 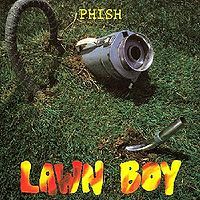 The band gave an award for the longest distance traveled to a Phish show (Palo Alto, CA, to Amy's Farm in Maine), a record which I'm sure has since been eclipsed thousands of times. Trey rollerbladed around the rink during "Weekapaug" and subsequently leveled an innocent bystander, and they did the Phish show standards (trampolines, barbershop quartet numbers, "BBFCFM", etc.) that have won over crowds since the beginning. All in all, this made for a great first Phish show, but perhaps the thing I remember most is how the band was just hanging out on the rink after the show, playing with Marley and enjoying all of the good vibes. John - Interesting to hear from someone who worked security. That show was a blast. I didn't realize Trey was on blades until he came zooming by me. That was me and some of my friends that "liberated" the skates form the front room. We used to have roller skating parties for St. Marks school there and unbelievably those old skates were still back there. I remember that back door being open. I have my ticket stub still from the Neitzche's show, but I only remember a hand stamp from the Amherst Roller Rink show. Do you remember if there were ever any actual tickets? Anyway, we all lived in the neighborhood so it made the party that much more easy. Great times and some of my best memories.